Cinema decorative light box. 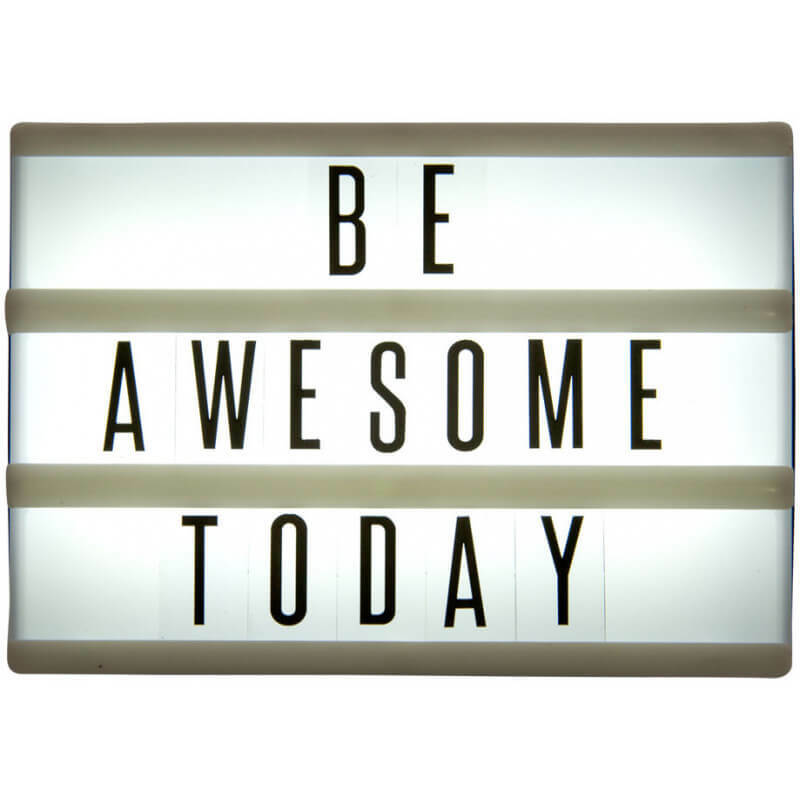 Create your own message with this decorative light box. 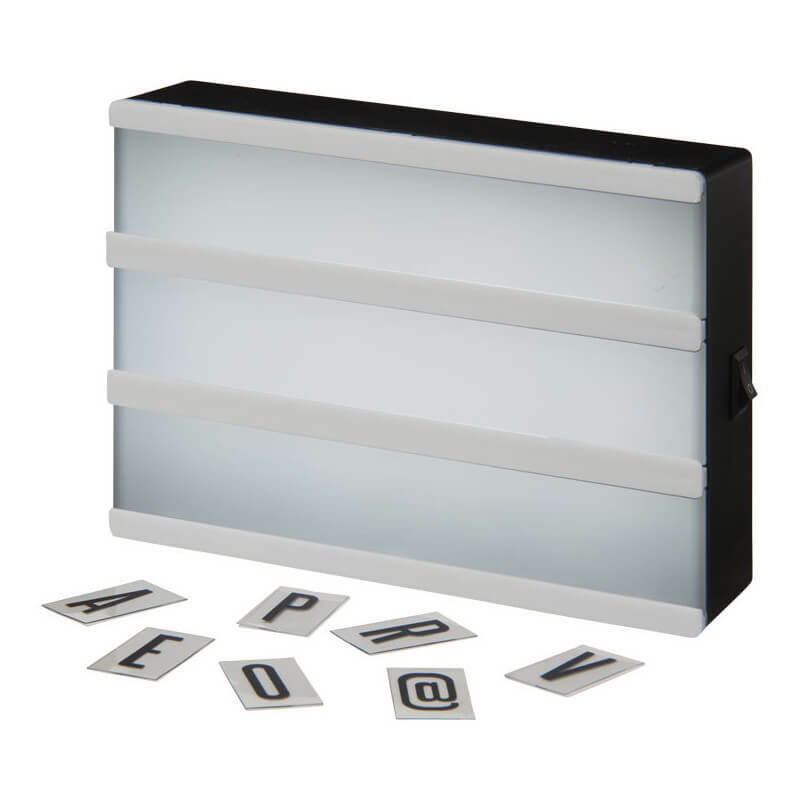 Includes 60 letters and symbols. 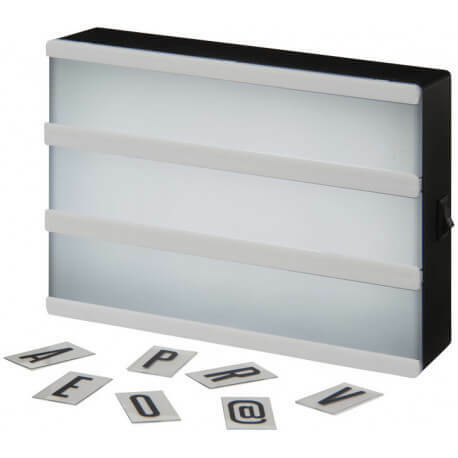 On/off switch located on side of light box. Includes 3x AAA batteries and white gift box. ABS plastic.